We are pleased to announce that Pool Craft has won 3 awards from the Pool & Hot Tub Council this past year and 2 awards from Landscape Ontario. Pool companies from across Canada compete for these awards and we couldn’t be happier to be recognized by these associations. It is always a great moment when we contact a client and inform them their design has won an award! 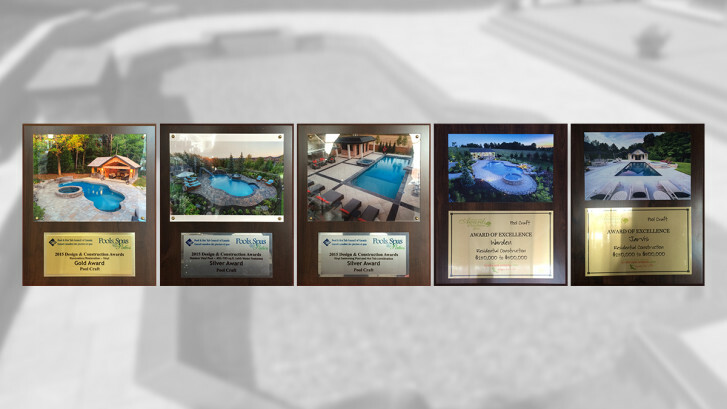 Contact us today to have an award-winning pool built!